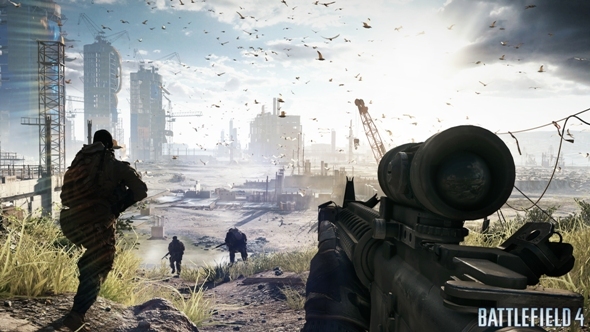 EA company revealed Battlefield 4 trailer and gameplay video at the GDC exhibition, which has been held earlier this week. Also developers tell a lot about what exactly we will see in this part of the series and why it will open a new era of shooters. The first Battlefield 4 trailer you can see below. And as always, Electronic Arts managed to impress everybody with quite beautiful gameplay graphics, which combines a lot of drama and action. From the video it’s becoming clear that the game as always will affect the former Soviet Union lands, and more precisely the capital of Azerbaijan - Baku. And now let’s pay more attention to the analysis of the 17-minutes trailer (and if you willing to see it now, it is in the end of this article). The single player campaign begins in Shanghai, where a command of special forces must evacuate several critical citizens from China. In the “Baku” mission, a team of 4 people gained some secret information and is trying to leave the city quietly to get to the collection point. But the local forces are not very happy to their appearance and meet them with gunfire and even heavy vehicles instead of friendly smiles. Oh yeah, we have completely forgotten about the characters! We will play the role of officer Racker as a part of secret special forces team that also includes: Sergeant Dunn, Irish, Pac and Ruger. It becomes clear how the quality of characters’ details and animation improved in the new Frostbite 3 already from the Battlefield 4 trailer. DICE had to work hard and to increase the number of facial animations and shaders. In addition, the Battlefield 4 game finally will get a decent sounding, emotionality and humanity, which is being so lacked in the early parts of the series. More sensitive around world and, in particular, the ​​teammates and enemies AI become another interesting detail. There’s no possibility to control the whole team, but you can successfully use simple commands like "attack the enemy", "cover the retreat" and others in order to make some small tactical maneuvers. 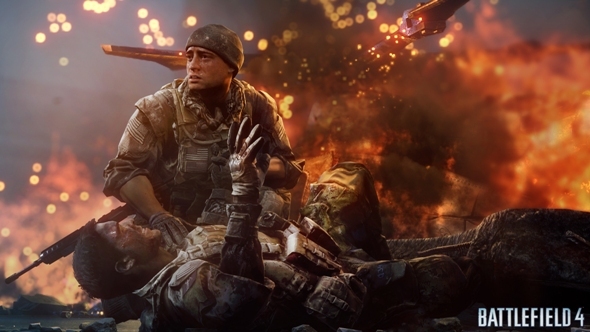 Games linearity received a lot of complaints from the Battlefield 3 players and will also undergo significant changes. Of course EA did not create a complete freedom (which, to be honest, is not the main part of in the single-player campaign in games like this one), but there’re sandbox situations, in which there are more than 2 option interchanges. In addition, cars and rooms can be equipped with alarm that will warn the enemy of your whereabouts, and even birds and beasts in the forest area can also react to the noise you create when running, and reveal your position. - have had the Medal of Honor: Warfighter pre-order bonus code. 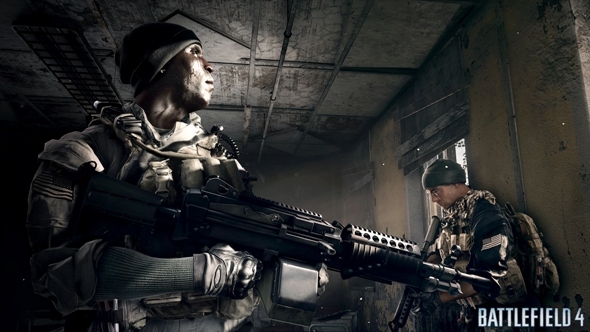 Battlefield 4 release is scheduled for autumn 2013 for PC, Xbox 360 and PlayStation 3. Although the PlayStation 4 version is not yet available for orders (which be open up after the console’s release), but it will come out simultaneously with other game’s versions at the end of this year.